Healthy City Projects are based on the philosophy that the roots of ill health lie in social and economic factors. Sustain, in collaboration with the Peas Please initiative, works with local authorities, food groups and organisations from schools, to hospitals, workplaces, food growing enterprises and restaurants. To learn more, click here! The Peas Please initiative is a ground-breaking new initiative focused specifically on veg. 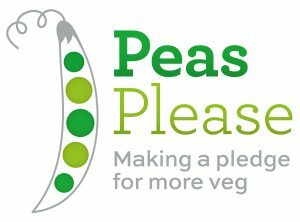 Peas Please aims to bring together farmers, retailers, fast food and restaurant chains, caterers, processors and government departments with a common goal of making it easier for everyone to eat veg. The objective is to secure commitments from industry and government to improve the availability, acceptability (including convenience), affordability, and quality of the vegetable offer in shops, schools, fast food restaurants and beyond, and in turn stimulate increased vegetable consumption among the UK public, particularly children and those on a low-income. Click here to to learn more!